Discussion in 'Digital Cameras, Webcams and Scanners' started by ssal, Nov 29, 2016. I was convinced that a desktop would be better for video editing. I looked into building my own but it seems too much troubles and it is not saving anything, or too much. I come across the Cyperpowerpc desktop at around $1700. Please take a look at this one and let me know if this is a good video editing tool. I also would like to know if this machine, as is, can hook up dual monitors. I welcome any comments regarding this subject. I don't seem to find card readers, or internet connection (10/100/1000 baseT, or wifi). Am I right? Can't imaging a desktop without these. You already have a USB one. It will have a gigabit ethernet connection on the motherboard (all boards these days do). If you want wireless either buy a usb dongle or a pci-e wireless card. Card readers aren't a necessity. You can just get a usb card reader/. 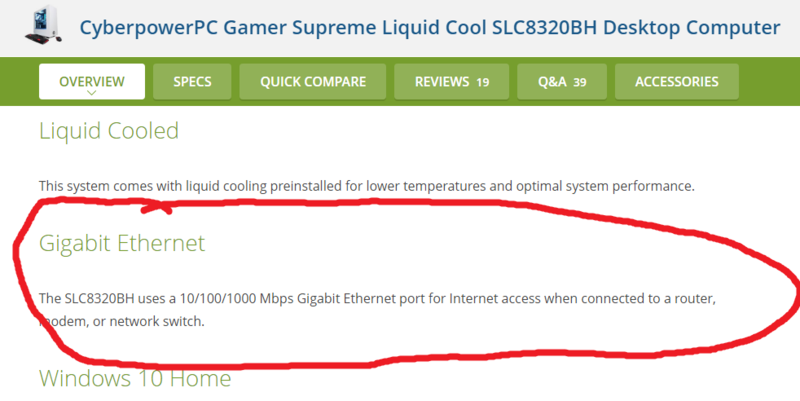 Don't know why they don't list it in the Specs page. Yes, that would be good enough because I don't really need a wifi for a desktop. Yes, I have a USB 3.0 cardreader that I can use.